The Romanian Society of Anaesthesia and Intensive Care (SRATI), formerly the Anaesthesia and Intensive Care Section of the Romanian Society of Surgery, was founded in 1973 by Professor Zorel Filipescu. SRATI holds a prominent position among the Romanian societies of medical and surgical specialities, comprising approximately 600 members out of the 1600 Romanian anaesthesiologists. Between 1974 and 2016 SRATI has held an annual congress in different Romanian cities and numerous courses have been organized. SRATI has important national and international relationships, is included in the World Federation of Societies of Anaesthesiologists and is also represented in the European Society of Anaesthesiology. Starting with 1989, several subspeciality societies have emerged from SRATI: the Pain Therapy Society, the Paediatric Anaesthesia Society, the Regional Anaesthesia Society, and the Romanian Enteral and Parenteral Nutrition Society. Nowadays, SRATI is an integral part of Romanian medical life and brings its own contribution to the progress of other specialities as well. 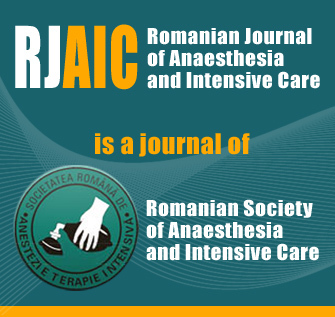 Since 1994, the national Anaesthesia and Intensive Care Society has its own publication, the Romanian Journal of Anaesthesia and Intensive Care Journal. The journal publishes original articles, reviews, editorials and case reports, and offers two issues per year.